We are really excited to announce the launch of Branded Escalators – a fantastic new addition to our portfolio! 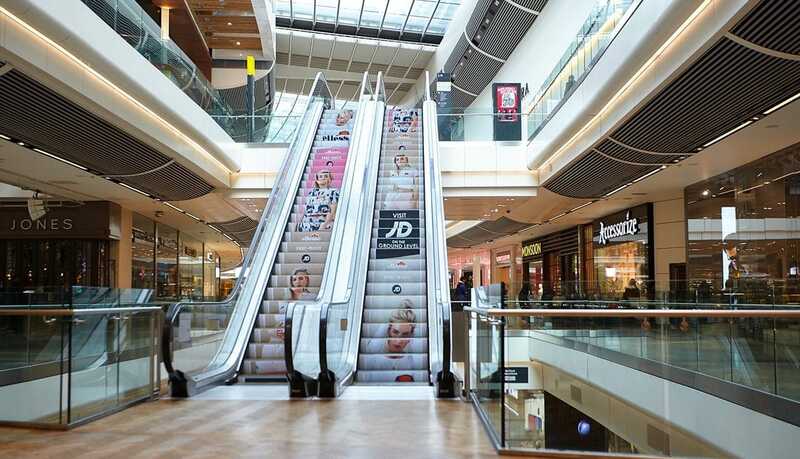 Branded escalators provide an incredibly impactful and unique opportunity for brands: bringing to life an exciting portfolio of over 200 escalators throughout the UK. This week we have launched the first campaign at Westfield Stratford City for JD sports. This retail focused campaign is in the immediate proximity of the store – perfect for driving footfall and awareness of in-store promotions.